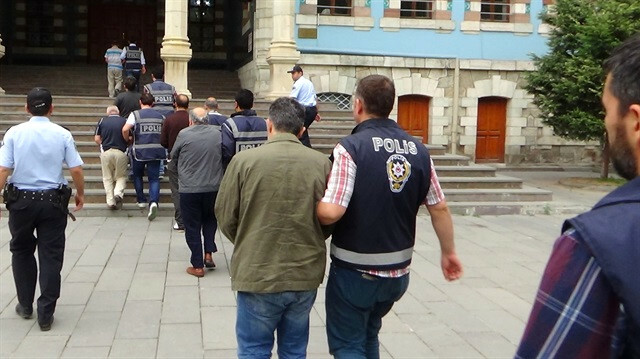 Turkish prosecutors have issued detention warrants for a total of 47 businessmen in Mersin province as part of an investigation into the Gülen group by the Mersin Chief Public Prosecutor’s Office, CNN Türk reported. According to the report, 29 of the 47 businessmen were detained during police operations while 18 are still at large. Listed as “evidence” against the businessmen was increasing their deposits in Bank Asya, which was personally targeted by President Recep Tayyip Erdoğan and later seized by the government in 2015; becoming members of Gülen movement associations, which were closed by the government following a failed coup attempt last year; and while travelling abroad using the same hotel as people linked with the Gülen movement. President Erdoğan and the Justice and Development Party (AKP) government launched an all-out war against the Gülen movement following a Dec.17-25, 2013 corruption investigation that included ministers and Erdoğan’s family. It turned into a witch-hunt following a failed coup attempt on July 15, 2016. Deputy Prime Minister Numan Kurtulmuş said on July 18 that the government had seized 966 companies from people allegedly linked to the Gülen movement. “In addition, 4,888 properties of those 966 companies were also seized and transferred to the Finance Ministry,” said Kurtulmuş. Immediately after the putsch, the government along with President Erdoğan pinned the blame on the Gülen movement. Fethullah Gülen, who inspired the movement, have denied having any role in the failed coup, but President Erdoğan and the government initiated a widespread purge aimed at cleansing sympathizers of the movement from within state institutions, dehumanizing its popular figures and putting them in custody. Turkey suspended or dismissed more than 150,000 judges, teachers, police and civil servants after the coup attempt.